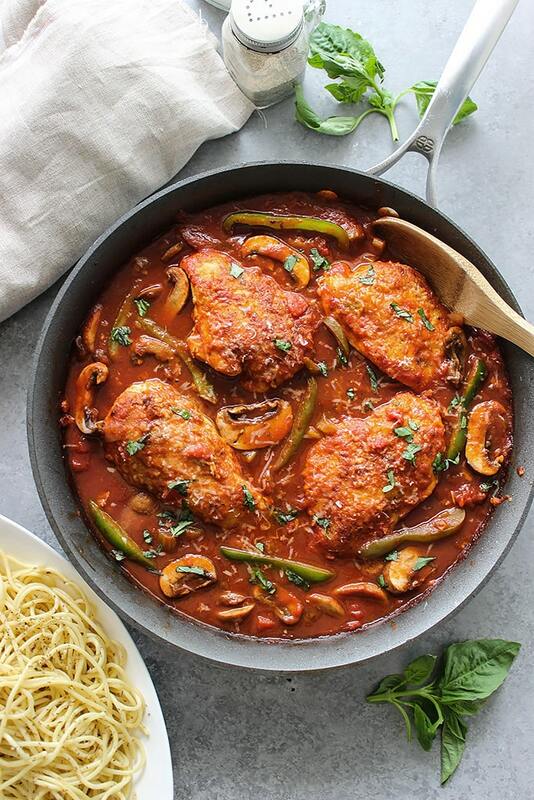 Skillet chicken cacciatore is first seared then stewed in a robust red sauce with fresh peppers, mushrooms and basil. 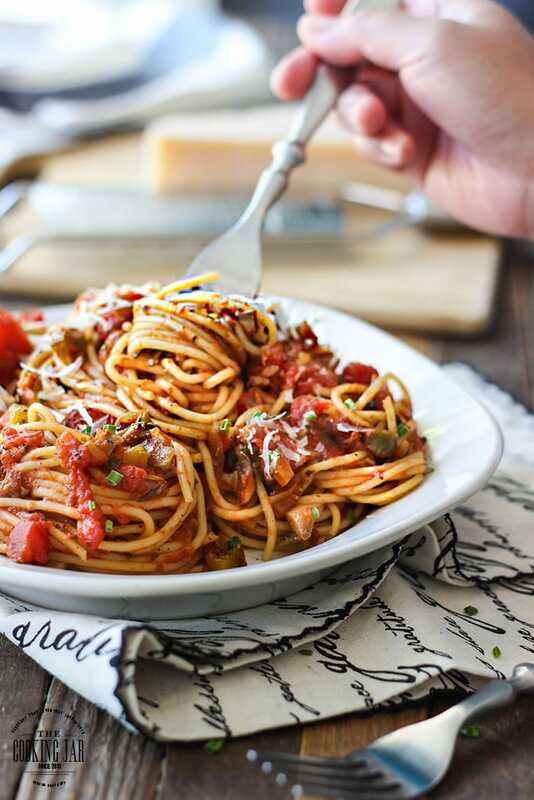 Serve this hearty meal for 4 over pasta with Parmesan cheese. 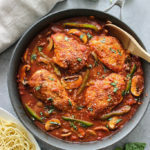 Today we’ll be doing some chicken stewed in a hearty vegetable red sauce to go with some pasta. 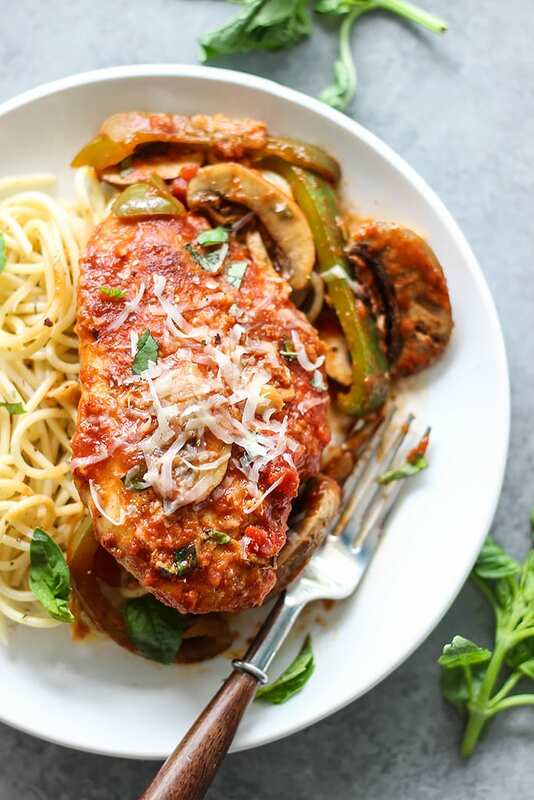 With green bell peppers, baby bella mushrooms and fresh basil, this is a great meal to bring to the dinner table for four. Pair it with some garlic bread or garlic knots, maybe a salad and you’re good to go. And don’t forget the freshly grated Parmesan cheese! First we trim the chicken breasts of fat and then season them with salt and pepper to taste. 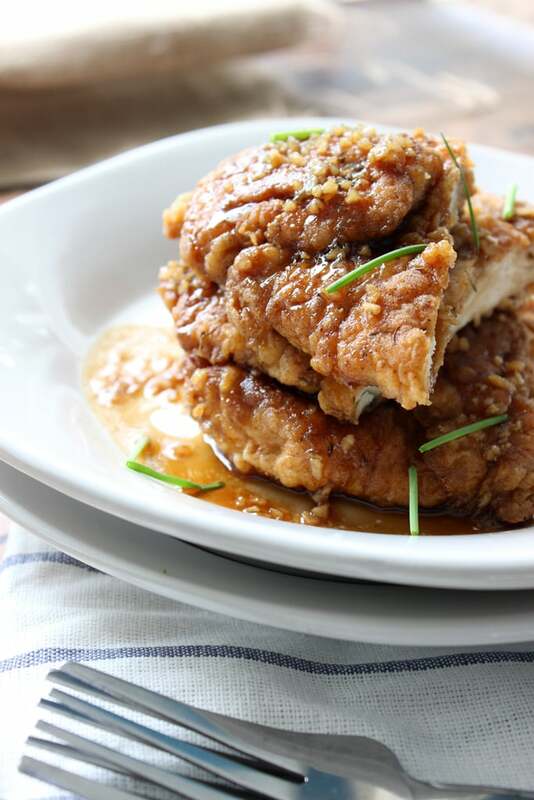 If your chicken is pretty thick, you can opt to pound them down for quicker cooking times. 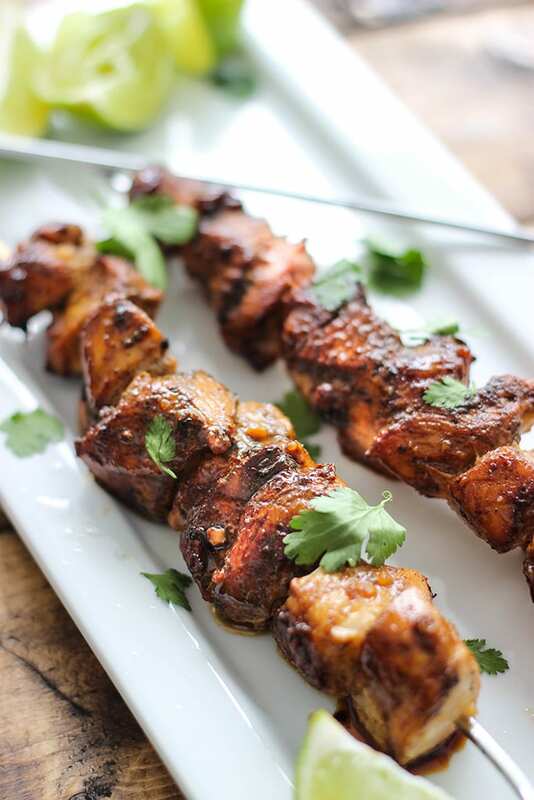 You can also use chicken thighs if you prefer them. Then, dredge the chicken in some flour and sear them on both sides until browned. Next we’ll be sauteeing the veggies in the same skillet until they’re nice and sweaty before adding in some wine or chicken broth to deglaze the pan. Pour in the tomatoes and tomato sauce with the rest of the seasonings. I added some sugar to balance out the tartness of the tomatoes. Do a taste test for salt and pepper. 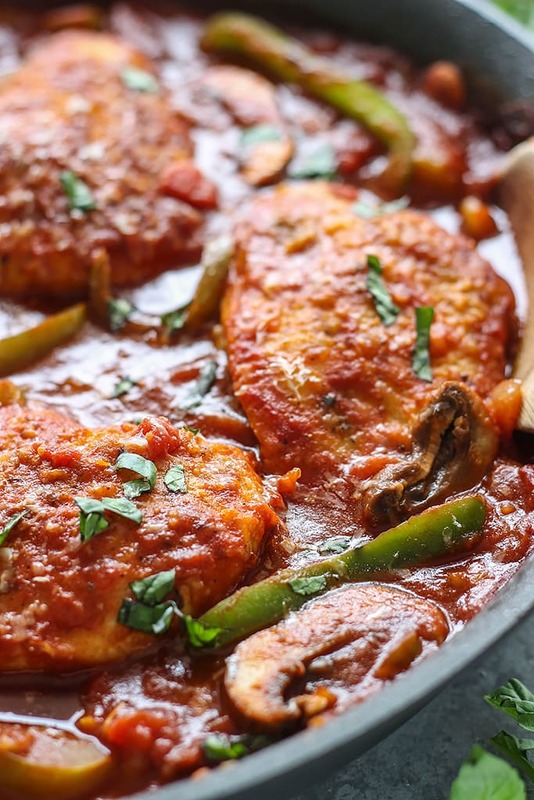 Add the chicken back into the pan, cover and simmer over low heat until the chicken is fully cooked. Mine was done in 10 minutes once the red sauce came to a gentle boil. 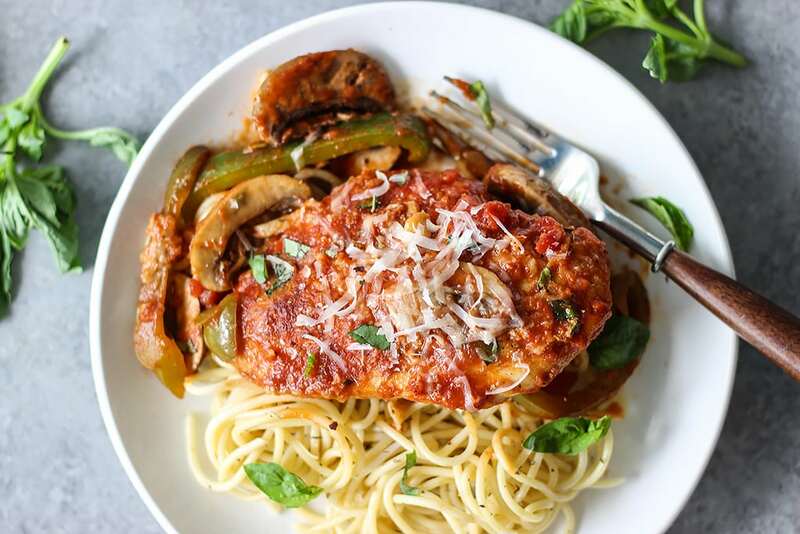 Once it’s ready, serve the chicken cacciatore over a bed of pasta and top with fresh basil and Parmesan.